Just because you require a CPAP while sleeping should not keep you away from enjoying the outdoors and nature at her very best for prolonged periods of time. Before starting, check the user manual which was provided with your CPAP machine to make sure that your machine is capable of running from a DC power source i.e. a battery. Usually most modern CPAP machines have some sort of DC power capabilities. When you check the user manual, in the back the manufacturer would have a section on power. Certain manufacturers even provide information on how much power your CPAP will draw at different pressure settings. 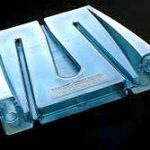 However if you cannot find the information or are not sure, it is better to call up the respective manufacturer for specific information regarding the battery of your machine. 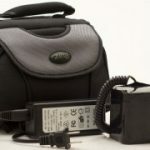 Now that you know for certain that your CPAP machine is DC capable, your focus should be paid on how to connect your machine to the battery. 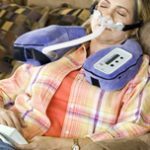 The simplest method by which to proceed is to check if your CPAP manufacturer has provided an optional DC cable with your CPAP. If the optional DC cable is present, then the entire process is very simple. Along with this cable, you will need a 12v accessory plug to connect your CPAP to the battery. This plug can easily be purchased in your neighbourhood hardware store or on Wal-Mart for a few dollars. 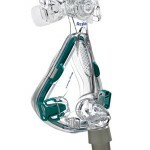 If your manufacturer does not provide such a connection option, then another option is a battery cable which will connect your CPAP machine on one end and in the other end it will connect to your battery. The major disadvantage of this method is that most of these cables will not fit the size of the terminals of the battery perfectly, thus they may require some modifications. Finally if nothing works you can purchase a DC inverter and plug your machine with the supplied AC chord into it. However this option should be used as a last resort, since both your CPAP and your DC inverter will require power. This makes this method extremely inefficient and a waste of power. Do note that if you plan on using your humidifier along with your CPAP on a DC connection, then you will require a pure sine wave DC inverter. 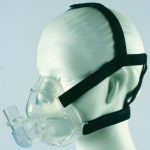 But if you use your CPAP in a no heat or Cool Passover mode then you will not require this product. How many nights do you plan on using the machine? Will you use a heated humidifier? Is there a place to recharge the battery and will you move it around? If you plan on staying or camping in one location or if you plan on staying is a RV, then a 12v deep cycle marine battery is the best option for you. 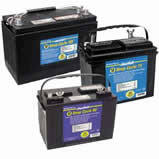 These batteries can run for extended periods of time and are usually suggested for use by most CPAP manufacturers. The major disadvantage of this battery is that it is extremely heavy, usual weight is 40lbs to 70lbs. 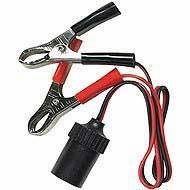 If you require something lighter, then the Gel cell batteries are a good alternative. But since their size is smaller (hence the smaller weight) these batteries will not have the same capacity as the deep cycle batteries. Therefore they need to be recharged often and at times multiple batteries may need to be used. These batteries can easily be purchased from stores such as Batteries Plus and Wal-Mart, also make sure to purchase a battery charger. Thanks to the development of technology, high capacity Lithium Ion batteries are available in the market. These batteries deliver a lot of power for prolonged periods. Additionally they are compact and lightweight and packaged to offer flexibility and ease of use. On one single charge these batteries offer 40hours of usage by a CPAP, but they weigh only 4-5lbs. The major disadvantage of these batteries is their price. Like any advanced technology, you will have to pay a premium price.